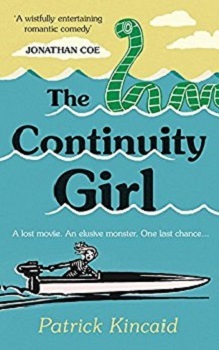 The Continuity Girl is set in two era’s some 45 years apart and between London and Inverness, Scotland – The home of Loch Ness and Urquhart Castle. In 1969 film director Billy Wilder and his crew have descended into Inverness, particularly the loch and castle for the filming of ‘The Private Life of Sherlock Holmes’. Local scientist and Marine Biologist Jim Outhwaite is not happy. The filming is disrupting his research into the Loch Ness and the Monster that may inhabit her. 2013, Dr. Gemma MacDonald who is a film studies lecturer has been offered the job of a lifetime in Scotland. A rare reel of the Sherlock Holmes film has been found in an attic. Given that Gemma is most knowledgeable on the film, she has been asked to oversee the release of the missing section and also see if she can find someone to interview who was present at the making of the movie. I’ll start by saying that I found this book a little hit and miss and hard to follow at times. Parts I was really intrigued about and glued to the pages, others I found myself skipping past. This is in no way a reflection of the brilliant writing and plot though, more my interest. You see I’ve never heard of Billy Wilder – Surprising seen as he directed some of the last centuries biggest movies, I also had never heard of the film from the book either. Plus I’ve never been to Inverness, nor have an interest in the Loch Ness Monster. Not a great combination when the book is mainly a fictional account of the event surrounding the making of the movie. I ended up Googling about the movie and the strange goings-on that occurred and the reception it received. The plot has been well thought-out and the shift between the two time periods was done smoothly and so that you knew exactly which era you were in. I love that the two periods were essentially weaving between one another. 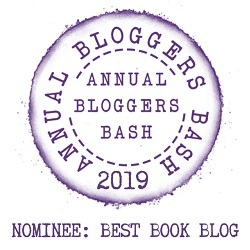 The characters were a delight to read about and I enjoyed getting to know them, even if I did find Gemma’s parents a little condescending and annoying at times. There are quite a few memorable moments in the storyline and a good few funny sections too. There are also lots of cultural references about the 1960’s that if you were around in that decade you will enjoy being taken back in time. The book is certainly different and definitely worth a read. This looks really good. I’m going to have to give it a try. Like the review! Great, glad you liked it. Hope you enjoy the book. Fabulous review. I am completely torn about whether I would read this or not. Your review makes me want to buy it! Thank you. I hope you do get to read it. I’m really bad with directors and producers of films. I didn’t know this author… and don’t you worry, I didn’t know Billy Wilder until I studied his works in a course this year. Wow a course on Billy Wilder. I had never heard of Billy Wilder until this review. Great review! Thank you. Not until you see the films that Billy Wilder directed do you realise you know most of them. This sounds adorable and I love the cover! Yay, great that you like it too. Sounds unique, even if the execution was a little off. Thanks for sharing!